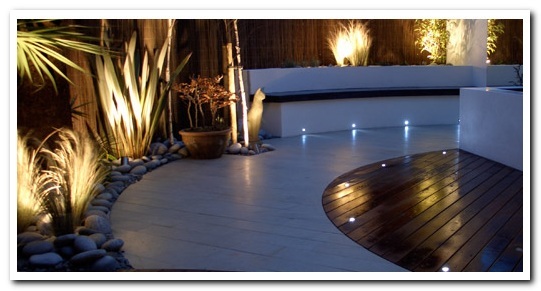 You have a beautiful, manicured garden and very proud to show it off to everyone, but what happened to it at night? It became an uninteresting dark place and no one can appreciate it. It can even be become a scary unsafe place to be at night. Let Eksklusiewe Landskappe transform your garden into a fairytale garden at night. Our 12V garden light system will charm every visitor and lure them to be outside on your entertainment area rather than inside and also create a much more save environment. It is very cost effective diverting our costly 220V electricity to a 12V system using transformers and enables us to leave it on for long hours to enjoy the tranquility of our gardens even after darkness falls.